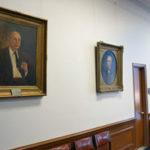 The University of Mississippi Libraries offers a variety of space types to meet the teaching, research and study needs of the University community. Library spaces have different features and policies. The links below will take you to more information about the types of spaces in Libraries. The J.D. Williams Library has a two fully electronic classrooms. 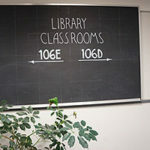 The classrooms are used primarily for Library teaching events however, faculty may reserve a classroom for their own teaching event. The J.D. Williams Library has a number of event spaces. The event spaces are used primarily by for Library events however, event spaces are are available to the University Community for certain type of events. Please note the use policies for the event spaces listed below. The J.D. 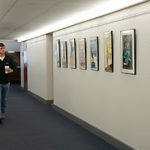 Williams Library hosts several different exhibits throughout the year. In addition to the four physical exhibit areas listed below, the Libraries also offer online exhibits. We are currently in the process of building a new online exhibit web application called “Exhibit Space” but for now you can still access many of our online exhibits through the Archives and Special Collections Exhibit site. 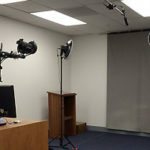 STUDIOone one consists of a simplified Video Recording Studio and a complete Video Editing Suite. STUDIOone is available to all University of Mississippi affiliates. Read on to find out more about the different areas in STUDIOone.